Visual communication is key to safety and productivity in your facility. Floor tape and floor signage increase safety when it is used to guide employees, as they work in or walk through your warehouse or manufacturing operations. It has also become common practice to use floor tape and the principles of 5S to bring organization and efficiency to work areas. 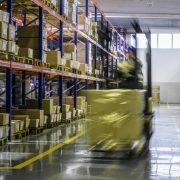 Using a layout of your facility segregate your receiving, manufacturing, assembly, quality control, storage, shipping, and other departments. Designate floor space for specific purposes in each department or work area. Goods-in-process, inspection, and equipment storage are some potential areas in the workspace you may want to mark off with tape. Use tape and floor signage to show locations that pose potential hazards. Placing safety signs that adhere to the floor or striped tape allows you to clearly define locations that could be dangerous. Marking areas where hazardous materials are stored, the product that is quarantined, or work areas where safety apparel is required can help visually warn employees. Identify where the accident-prone areas are. These often are areas with high forklift or employee traffic. By using floor tape and safety floor signs, you can warn employees of the hazards and thereby reduce collisions and accidents. What Color Tape Should You Use? At Cranston Material Handling, our team of experienced, highly trained professionals has the expertise and the tools to help you design your facility in a manner that fosters safe and productive work areas. 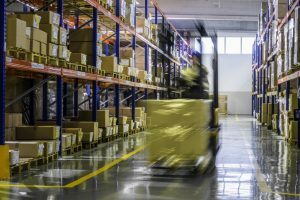 In addition to our layout and design services, we also offer thorough pallet rack inspections to ensure your racking systems are in safe, operational condition.